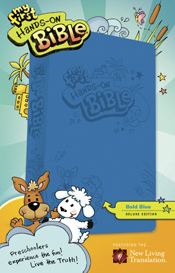 This hands-on Bible mirrors a real Bible so now children as young as preschoolers can feel special when going to church. Gone are the simple illustrations and big bolded words. Now everyone in the family can belong in a Bible-carrying family. (ages 3–6) with the Bible while helping them build a solid faith foundation. Each lesson focuses on a specific Bible point through a variety of activities in order to reinforce and help young children remember the stories and lessons. Using common household items, you can help your children have a “hands-on” learning experience while engaging them in 85 key stories from the Bible.